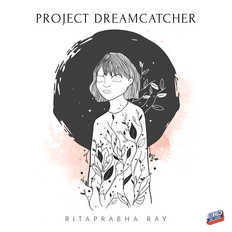 Ritaprabha Ray | OK Listen! After picking up the drumsticks at the age of 13, Ritaprabha went on to play drums for a a band from Kolkata called Rudraa. At the age of 16 he took up his brother's guitar and started practising. Soon he went on to play rhythm guitars with Aditya Shankar (current guitar player of Euphoria), Arko Mukherjee (vocalist and songwriter of Fiddler's Green) for some local bands. Sometime around 2008 they formed Altered Karma, where they started playing original music. In 2010, Ray quit Altered Karma and joined Cactus, a pioneer among the bangla rock acts from Kolkata. With Ray on board, Cactus went on to release "Cholo Paltai" (2012) OST for the movie "Naamtey Naamtey", "Blah Blah Blah" (2013) - a full length studio album, and "Nagorik Botaam" (2015), "Udaan" (2015) that were released as singles by the band. Besides his work at Cactus, Ray recorded and released numerous instrumentals and songs featuring different artists like Madhubanti Bagchi (vocalist of Mrittika), Sandip Roy (Bass player for American rock band My Rebel Episode), Sudipto Bannerjee (Keyboard player of Cactus), EPR (emcee at Underground Authority) etc. 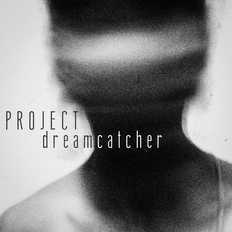 These tracks got widely appreciated on online music forums like reverbnation and soundcloud. Apart from making independent original music, Ritaprabha is also one of the most sought after music producer and session guitar player in Kolkata, having worked on various film soundtracks, advertising jingles and other albums. Ray started working on his solo project in 2014, featuring artists and musicians from different parts of the country.